To Find More Than 600,000 Scholarships! 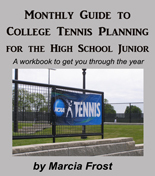 With the exception of College Tennis Connect, these companies are not part of amerdoubook-20Tennis.com and some of them may charge for select services. Please read all policies carefully so you know what -- if anything -- you are paying for. Vivid Seats is a leading ticket broker where you can buy Wimbledon tickets at discounted prices. Throughout the season get tennis tickets , including US Open tennis tickets , and see the best Grand Slam competitions.